Known for its interdisciplinary approach to education, KITE offers a wide range of undergraduate programs namely B. Arch, BBA, B. Des, BS.CS, BA-LLB and BS. MechX. Keeping in line with our policy of producing change agents in the society the KITE ecosystem combines the spirit of entrepreneurship with a technology, so that problem solving is transformed into opportunity creation which is followed by executable business plan – often involving a technology solution. 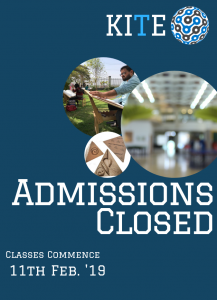 Our admissions are merit based and each applicant is given individual consideration. 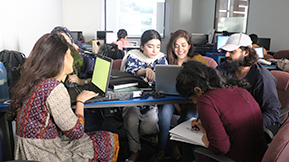 Our in-house admission test plays an important part in our evaluation of your application and our decision in regards to Financial Aid and Scholarships disbursement. KITE has a generous Scholarship and Financial Aid policy with both merit based and need based awards. Historically 70% of our students have received full or partial tuition fee waivers. Our extremely impressive student-faculty ratio ensures that all our students get individual time with the instructors and feel part of the KITE family. 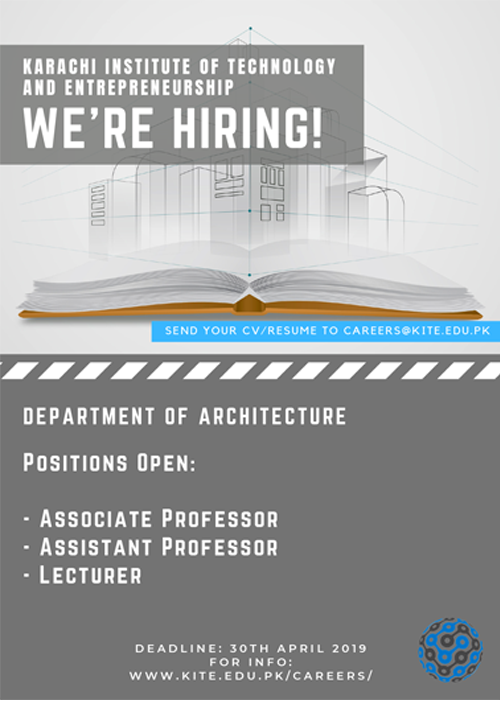 We encourage you to apply at KITE and also visit us at our campus to meet our staff and faculty to learn more about KITE.